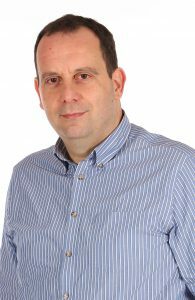 Kostas Kampourakis is currently working on projects relevant to the teaching and the public understanding of genetics. At the Section of Biology he is teaching the course « Biologie et Société ». He is the Editor-in-Chief of the journal Science & Education (Springer), the official journal of IHPST, and the Editor of the Springer book series Science: Philosophy, History and Education. K. McCain, K. Kampourakis (Eds.) (2019) What is Scientific Knowledge? An Introduction to Contemporary Epistemology of Science. New York: Routledge. K. Kampourakis, M. Reiss (Eds.) (2018) Teaching Biology in Schools: Global Research, Issues and Trends. New York: Routledge. K. Kampourakis (2018) Turning Points: How Critical Events Have Driven Human Evolution, Life, and Development. Amherst NY: Prometheus Books. K. Kampourakis (2017) Making Sense of Genes. Cambridge: Cambridge University Press. R.L. Numbers & K. Kampourakis (Eds) (2015) Newton’s Apple and Other Myths about Science. Cambridge MA: Harvard University Press. K. Kampourakis (2014) Understanding Evolution. Cambridge: Cambridge University Press. K. Kampourakis (Ed) (2013) The Philosophy of Biology: a Companion for Educators. Dordrecht: Springer. F. Stern, K. Kampourakis, C. Huneault, P. Silveira, A. Müller (2018) Undergraduate biology students’ teleological and essentialist misconceptions. Education Sciences, 8(3), 135. K. McCain, K. Kampourakis (2018) Which questions do polls about evolution and belief really ask, and why does it matter? Public Understanding of Science, 27(1) 2–10. F. Stern, K. Kampourakis (2017) Teaching for genetics literacy in the post-genomic era. Studies in Science Education, 53(2), 193-225. K. Kampourakis, P. Silveira, B.J. Strasser (2016) How do pre-service biology teachers explain the origin of traits? : A philosophical analysis. Science Education, 100(6), 1124-1149. R. Nehm, K. Kampourakis (2016) Conceptual change in science and science education. Encyclopedia of Educational Philosophy and Theory, 1-5. K. Kampourakis, K. McCain (2016) Believe in or about evolution? BioScience, 66(3), 187-188. K. Kampourakis (2016) The “general aspects” conceptualization as a pragmatic and effective means to introducing students to nature of science. Journal of Research in Science Teaching, 53(5), 667-682. K. Kampourakis, C. Gripiotis (2015) Darwinism in context: An interdisciplinary, highly contextualized course on nature of science. Perspectives in Science, 5, 25-35. W.F. McComas, K. Kampourakis (2015) Using the history of biology, chemistry, geology, and physics to illustrate general aspects of nature of science. Review of Science, Mathematics and ICT Education, 9 (1), 47-76. M.F. Campanile, N.G. Lederman, K. Kampourakis (2015) Mendelian genetics as a platform for teaching about Nature of Science and Scientific Inquiry: the value of textbooks. Science & Education, 24 (1-2), 205-225. K. Kampourakis (2015) The need for interdisciplinary dialog in evolution education: A comment on the responses by Ware & Gelman and Shtulman. Cognitive Science, 39(4), 846-848. K. Kampourakis (2015) Distorting the history of evolutionary thought in conceptual development research. Cognitive Science 39(4), 833-837. K. Kampourakis, B.J. Strasser (2015) The evolutionist, the creationist and the ‘unsure’: picking up the wrong fight? International Journal of Science Education, Part B: Communication and Public Engagement, 5(3), 271-275. K. Kampourakis, A. Minelli (2014) Evolution makes more sense in the light of development. The American Biology Teacher, 76(8), 493-498. K. Kampourakis, E. Vayena, C. Mitropoulou, R.H. van Schaik, D.N. Cooper, J. Borg, G.P. Patrinos (2014) Key challenges for next-generation pharmacogenomics. EMBO reports, 15(5), 472-476. K. Kampourakis, A. Minelli (2014) Understanding evolution: why evo-devo matters. Bioscience, 64(5): 381-382. K. Kampourakis (2013) Mendel and the path to Genetics: portraying science as a social process. Science & Education, 22(2), 293-324. K. Kampourakis (2013) Teaching about adaptation: Why evolutionary history matters. Science & Education, 22(2), 173-188. K. Kampourakis (2013) Nägeli, Carl von. In Stanley Maloy and Kelly Hughes (Eds) (2012) Brenner’s Online Encyclopedia of Genetics (2nd edition) pp.2-3. T.R. Reydon, K. Kampourakis, G.P. Patrinos (2012) Genetics, genomics and society: the responsibilities of scientists for science communication and education. Personalized Medicine, 9(6), 633-643. K. Kampourakis, E. Palaiokrassa, M. Papadopoulou, V. Pavlidi, M. Argyropoulou (2012) Children’s intuitive teleology: shifting the focus of evolution education research. Evolution Education and Outreach, 5(2), 279-291. K. Kampourakis, V. Pavlidi, M. Papadopoulou, E. Palaiokrassa (2012) Children’s teleological intuitions: what kind of explanations do 7-8 year olds give for the features of organisms, artifacts and natural objects? Research in Science Education, 42(4), 651-671. K. Kampourakis, W.F. McComas (2010) Charles Darwin and evolution: illustrating human aspects of science. Science & Education, 19 (6-8), 637-654. K. Kampourakis, V. Zogza. (2009) Preliminary evolutionary explanations: a basic framework for conceptual change and explanatory coherence in evolution. Science & Education, 18(10), 1313-1340. K. Kampourakis, V. Zogza (2008) Students’ intuitive explanations of the causes of homologies and adaptations. Science & Education, 17(1), 27-47. K. Kampourakis, V. Zogza (2007) Students’ preconceptions about evolution: how accurate is the characterization as “Lamarckian” when considering the history of evolutionary thought? Science & Education, 16(3-5), 393-422. K. Kampourakis (2007) Teleology in biology, chemistry and physics education: what primary teachers should know. Review of Science, Mathematics and ICT Education, 1(2), 81-93. K. Kampourakis (2006) The finches’ beaks: introducing evolutionary concepts. Science Scope, 29(6), 14-17. K. Kampourakis, V. Zogza. (2006) Tempo and mode of teaching evolution. Themes in Education, 7(1), 3-24. K. Kampourakis, K. Roumeliotou (2004) Mendel was not alone. Biologist, 51(1), 54-57. K. Kampourakis (2019) Genetics makes more sense in the light of development. In Giuseppe Fusco (Ed.) Perspectives on Evolutionary and Developmental Biology: Essays for Alessandro Minelli. Padova: University of Padova Press, 115-122. K. Kampourakis, M. Reiss (2018) Concluding remarks. In K. Kampourakis, M. Reiss (Eds.). Teaching Biology in Schools: Global Research, Issues and Trends. New York: Routledge, 275-280. K. Kampourakis, K. Niebert (2018) Explanation in biology education. In K. Kampourakis, M. Reiss (Eds.). Teaching Biology in Schools: Global Research, Issues and Trends. New York: Routledge, 236-248. K. Kampourakis, P. Stasinakis (2018) Development. In K. Kampourakis, M. Reiss (Eds.). Teaching Biology in Schools: Global Research, Issues and Trends. New York: Routledge, 99-110. M. Reiss, K. Kampourakis (2018) Introduction: Biology didactics. In K. Kampourakis, M. Reiss (Eds.). Teaching Biology in Schools: Global Research, Issues and Trends. New York: Routledge, 1-8. P. Stasinakis, K. Kampourakis (2018) Teaching evolution in Greece. In H. Deniz, L. Borgerding (Eds.). Evolution Education Around the Globe. Dordrecht: Springer, 195-212. K. Kampourakis (2017) Nature of science representations in Greek secondary school biology textbooks. In McDonald C., Abd-El-Khalick, F. (Eds.) Representations of Nature of Science in School Science Textbooks: A Global Perspective. London: Routledge, 118-134. K. Kampourakis (2017) Public understanding of genetic testing and obstacles to genetics literacy. In Patrinos G.P., Danielson P., Ansorge W.J. (Eds). Molecular Diagnostics (3rd edition). Amsterdam: Elsevier/Academic Press, 469-477. K. Kampourakis (2015) Myth 16: That Gregor Mendel was a lonely pioneer of genetics, being ahead of his time. In R. L. Numbers and K. Kampourakis (Eds.). Newton’s Apple and Other Myths about Science. Cambridge MA: Harvard University Press, 129-138. R. Nehm, K. Kampourakis (2014) History and philosophy of science and the teaching of macroevolution. In M.R. Matthews (Ed.). International Handbook of Research in History, Philosophy and Science Teaching. Dordrecht: Springer, 401-421. K. Kampourakis, R. Nehm (2014) History and philosophy of science and the teaching of evolution: students’ conceptions and explanations. In M.R. Matthews (Ed.). International Handbook of Research in History, Philosophy and Science Teaching. Dordrecht: Springer, 377-399. R.M. Burian, K.Kampourakis (2013) Against “genes for”: Could an inclusive concept of genetic material effectively replace gene concepts? In K. Kampourakis (Ed.) The Philosophy of Biology: a Companion for Educators. Dordrecht: Springer, 597-628. J.G. Lennox, K. Kampourakis (2013) Biological teleology: the need for history. In K. Kampourakis (Ed.) The Philosophy of Biology: a Companion for Educators. Dordrecht: Springer, 421-454. K. Kampourakis (2013)Philosophy of biology and biology education: an introduction. In K. Kampourakis (Ed.). The Philosophy of Biology: A Companion for Educators.Dordrecht:Springer, 1-29. K. Kampourakis (2018) Genetics, Ethics and Education. Current Perspectives in Social and Behavioral Sciences. Edited by Susan Bouregy, Elena L. Grigorenko, Stephen R. Latham, and Mei Tan. Cambridge and New York: Cambridge University Press. $120.00 (hardcover); $39.99 (paper). xvi + 404 p.; ill.; index. ISBN: 978-1-107-11871-3 (hc); 978-1-107-54487-1 (pb). 2017, 275. K. Kampourakis (2018) Genetics? No Problem! By Kevin O’Dell. Hoboken (New Jersey): Wiley. $45.00 (paper). xiv + 375 p.; ill.; no index. ISBN: 9781118833889 (hc); 9781118833872 (pb). 2017, 277. K. Kampourakis (2018) Human nature from multiple perspectives. Tibayrenc, M., Ayala, F. J. (Eds.). (2017). On Human Nature: Biology, Psychology, Ethics, Politics, and Religion. San Diego: Academic Press, ISBN: 9780124201903, 814 pages, 129.95 USD (hardback), Science & Education, 243-244. K. Kampourakis (2018) Superstition and science. Derek Wilson (2017) Superstition and Science: Mystics, Sceptics, Truth-seekers and Charlatans. London: Robinson, 320pp, £14.99 PB, Metascience, 1–4. K. Kampourakis (2016) There is more to evolution than just natural selection. Masatoshi Nei (2013) Mutation-Driven Evolution. Oxford University Press, Oxford, ISBN: 978-0-19-966173-2, 256 pp, Price: £60.00, Science & Education, 25(1-2), 229-234. K. Kampourakis (2015) Can there be a theory of development? Allessandro Minelli and Thomas Pradeu (eds) (2014)Towards a Theory of Development. Oxford: Oxford University Press, 304pp, £37.50 PB, £75.00 HB. Metascience, 24(2), 199-203. K. Kampourakis (2014) Teaching the nature of science: An authoritative and insightful but non-empirical approach. Douglas Allchin (2014) Teaching the Nature of Science: Perspectives and Resources. Saint Paul, MN: SHiPS Education Press, 2013, xiii+310pp, $40.00 PB. Metascience, 23 (3), 589-592. K. Kampourakis (2014) Michael Ruse (Ed.) (2013)The Cambridge Encyclopedia of Darwin and Evolutionary Thought. Cambridge University Press, Cambridge, 583 pp, price: £120.00, ISBN: 9780521195317, Science & Education, 23(3) 711-714. K. Kampourakis (2013). R. Duschl, H. Schweingruber, and A. Shouse (2007) Taking Science to School: Learning and Teaching in Grades K-8. National Research Council, Washington DC, 2007, 5 ISBN-10: 0-309-10205-7, ISBN-13: 978-0-309-10205-6, 6 404 pp, price $44.96. Science & Education, 22(5), 1256-1266. K. Kampourakis (2013). Michael Ruse (Ed) (2008). The Oxford Handbook of Philosophy of Biology. Oxford University Press, Oxford, ISBN-13: 978-0-19-518205-7, 656 pages, price: $150. Science & Education, 22(2), 377-379. K. Kampourakis (2012). Eve-Marie Engels and Thomas F. Glick (eds) (2008) The Reception of Charles Darwin in Europe. Continuum, London and New York, ISBN: 9780826458339, 736 Pages (2 vols. ), price: £200.00. Science & Education, 21(7), 1035-1038. K. Kampourakis (2010). Jim Endersby (Ed) (2009) Charles Darwin: On the Origin of Species. Cambridge University Press, Cambridge, ISBN-13: 9780521867092, 520 pages, price: £70.00. Science & Education, 19 (6-8), 827-831. K. Kampourakis (2010). Matt Young and Paul K. Strode (2009) Why Evolution Works (and Creationism Fails). Rutgers University Press, New Brunswick, New Jersey, 2009, ISBN: 978-0-8135-4550-9, 224 pages, price: $21.95 Science & Education, 19(1), 115-118.